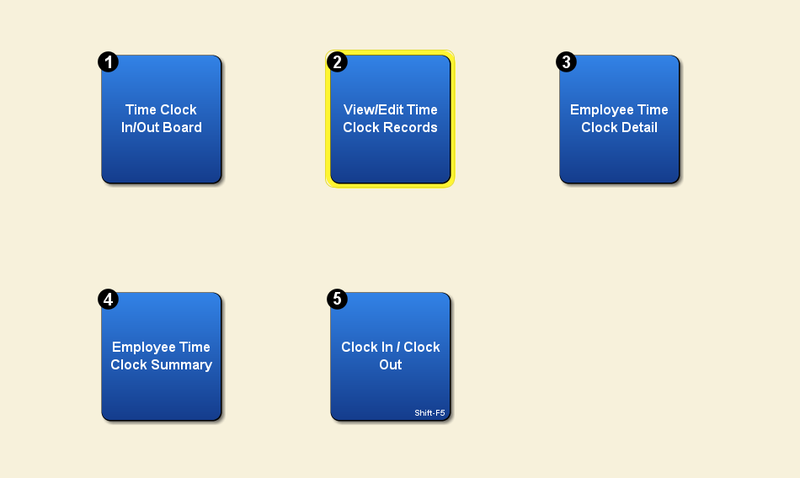 Artisan lets you look at Time Clock entries from different menus where you can also edit them and print reports. 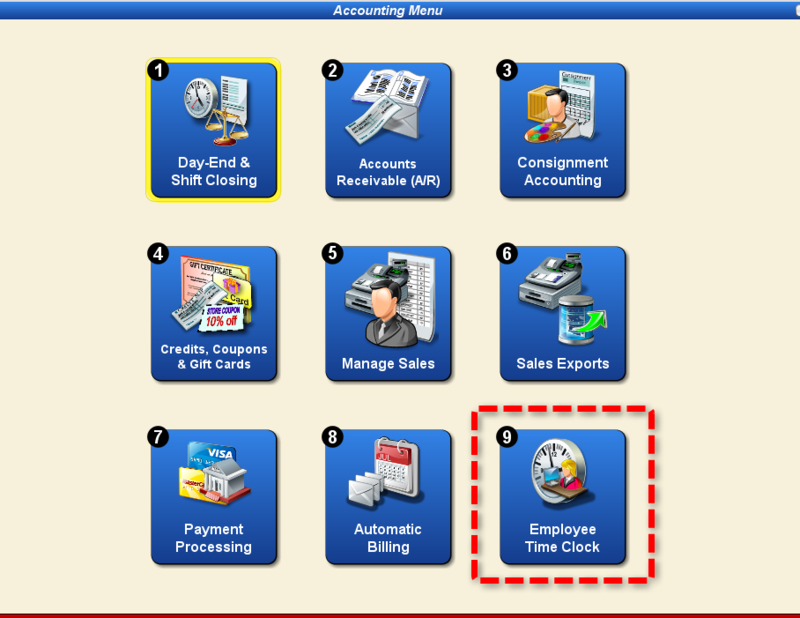 Once on the Time Clock menu you have several options to check entries or run reports. 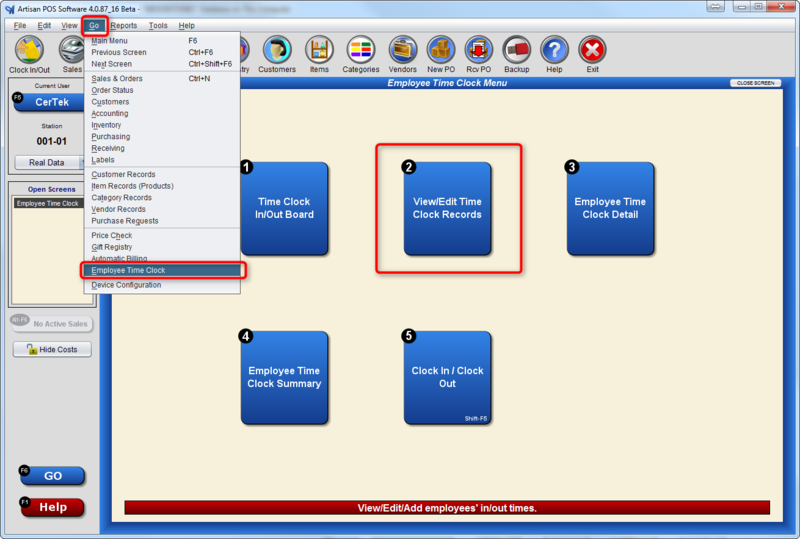 Users can also Clock In/Clock Out from here; although it may be faster and easier to use the shortcut Shift + F5 from any screen at any time. Once on the list of entries, you can narrow down the list by using Power Search or just scroll down the list to browse entries. To create a new entry or edit an existing one, select the respective button below the list. To edit the time. 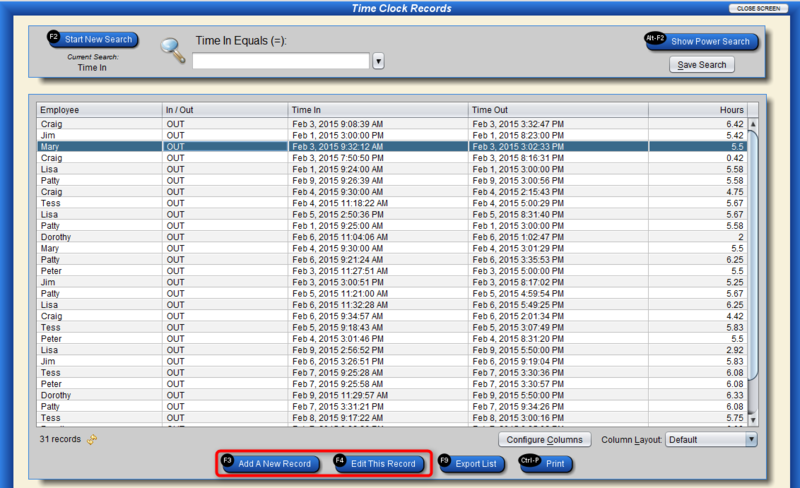 Select the date from the calendar, then type in the time in the format shown.